Who says a dress is only for summer? This teacup beauty has transeasonal dressing in the (tea) bag! The Sophie dress (pictured above and below) from Master & Miss is a gorgeous day dress with plenty of room to play and move in thanks to its A-line cut. Made from beautifully soft organic cotton jersey, the Sophie dress is designed with comfort in mind. Long sleeves keep the chill off arms and the gently elasticised neckline gathers nicely and slips over the head for easy dressing. Going from one season to the next with ease with the addition of a pair of tights or leggings, the Sophie dress is fantastic value for money and there will be no inevitable sadness at having to pack that favourite dress away when the seasons turn! 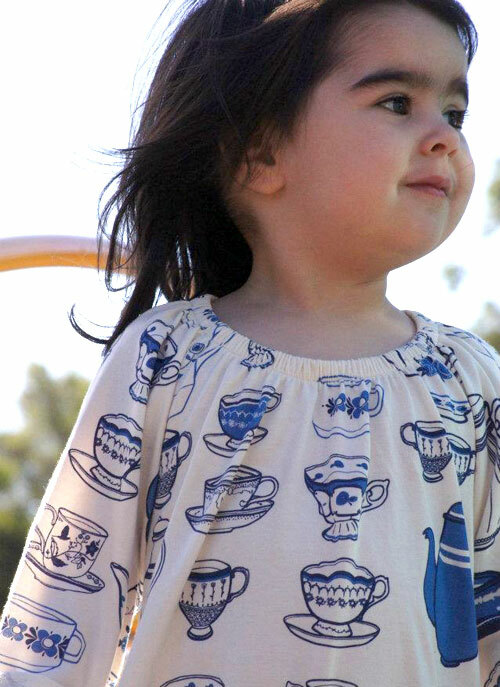 The Sophie dress is available in a fun red spot print fabric and a limited edition blue and white teacup print. 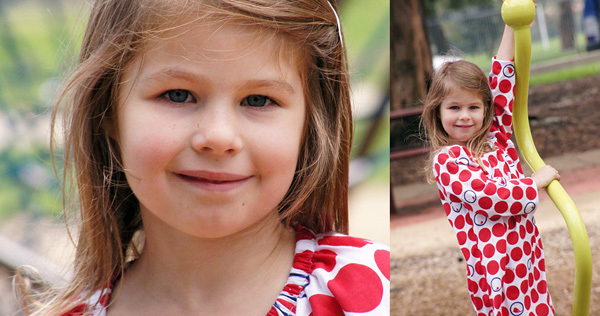 The Sophie dress is available in sizes one to five for $59.99 at Purely 4 Kids.